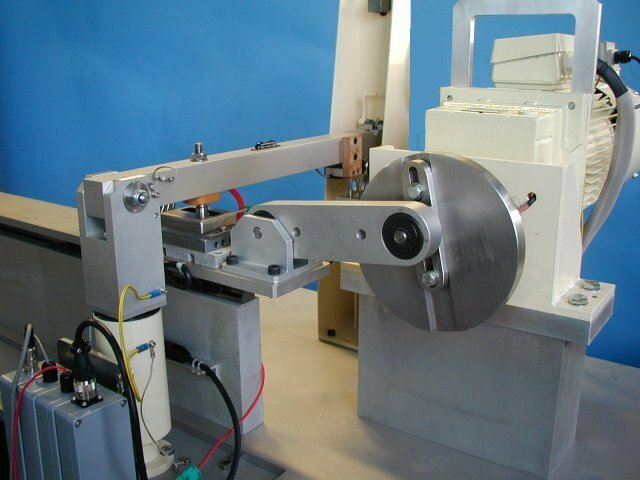 The TE 88 Multi-Station Friction and Wear Test Machine is design for wear testing of materials under high contact pressures in pin on disc, block on ring or reciprocating pin on plate modes. In reciprocating mode the machine can perform tests in the ASTM F 732 geometry, in Pin on Disc mode according to ASTM G 99, and in Block on Ring Mode according to ASTM G 77. The machine may be supplied with one, two and three Pin on Disc, Block on Ring or Reciprocating Pin on Plate test stations. It incorporates an integrated SUPERSLIM Serial Link Interface Module and COMPEND 2000software running on a host PC. The base unit comprises an a.c. variable speed gear-motor and a control and data acquisition system. 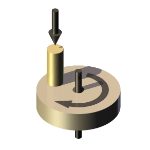 These are transferred between the Pin on Disc, Block on Ring and Pin on Plate modules, depending on the tests configurations required. 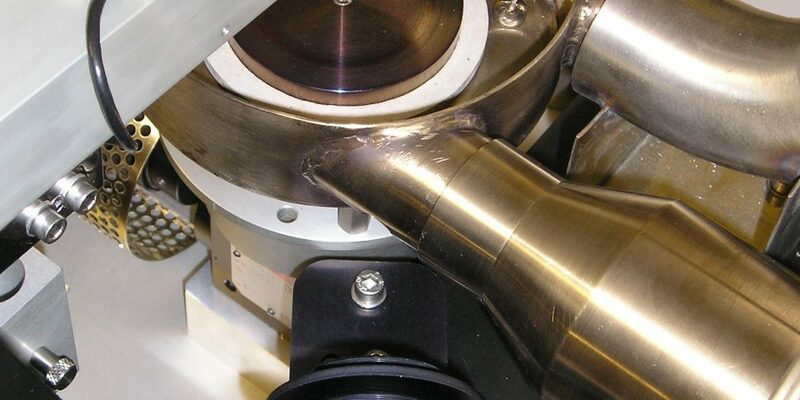 For each test station installed, a load/friction/wear assembly is required. These are transferred between the Pin on Disc, Block on Ring and Pin on Plate modules, depending on the tests configurations required. The loading beam is pivoted at one end and a pneumatic bellows is used to apply a load at the other end. The bellows system presents a constant inertial stiffness over the whole load range and thereby reduces the inertia effects on test data. A force transducer mounted on the bellows allows the applied load to be measured. Load is adjusted by means of a manually set precision regulator. The load beam pivot is trunnion mounted and restrained from movement, when in the horizontal position, by pads mounted on the load application bracket. A strain gauge force transducer mounts on the load beam and fits between these pads when the arm is horizontal thus allowing the friction signal to be sensed. 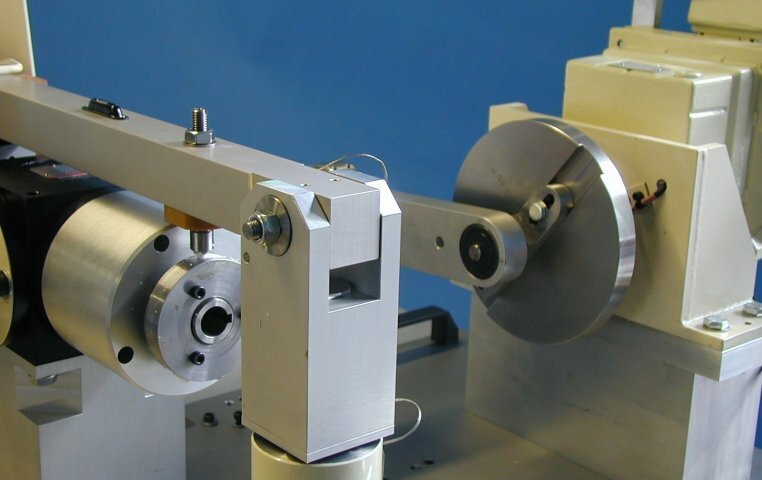 The transducer output connects to a strain gauge amplifier module and the output from this may be connected direct to the interface for uni-directional friction measurements (pin on disc and block on ring tests). The output may also be passed through a true rms/dc converter and then connected to the interface to give averaged friction readings in reciprocating pin on plate mode. An LVDT is mounted in contact with the underside of the load beam. 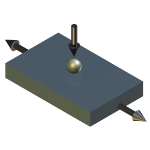 As the pin or block wears, the vertical movement of the load beam is detected by the transducer. 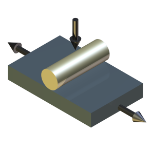 Wear of up to 1.5 mm at the contact can be measured. The LVDT is self-powered and plugs directly into the interface. The TE 88/R module can accommodate up to three test stations. Flat plate specimens are mounted in a reservoir to retain lubricating fluid with a lid to avoid spillage and reduce evaporation during long-term tests. Each station is fitted with electrical heating (for temperatures up to 400°C) and a thermocouple. The reservoirs are mounted on a common plate, which is located by ball bushings on a linear bearing assembly. The plate is reciprocated by variable throw crank. The TE 88/P module can accommodate up to three pin on disc test stations. 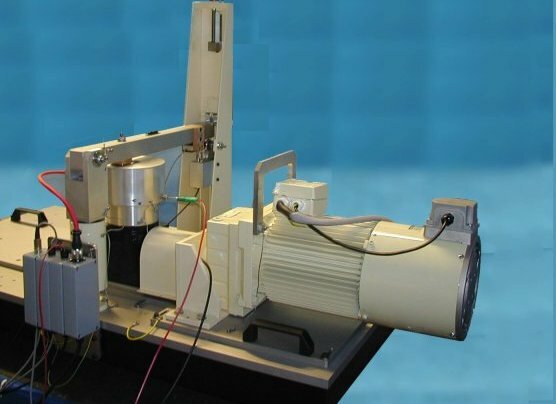 A heated non-rotating fluid enclosure is provided with each test station allowing tests to be performed in fluid environments with a temperature limit of 200°C. A lid is provided to minimise fluid splashing. A thermocouple is fitted to the lower part of the enclosure to monitor and control the temperature. The TE 88/B module can accommodate up to three test stations. 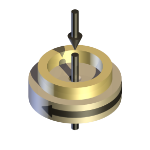 The ring specimen is mounted on a horizontal test shaft. Test may be performed under ambient conditions. TE 88/TW adapted is used in conjunction with the TE 88/P Pin on Disc Module and allows tests to be performed using thrust washer test specimens in accordance with ASTM D3702. 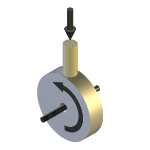 A force transducer is included for measurement of torque. An optional higher temperature air heating system TE 88/HT is available for use with ONE station of Pin on Disc module only. The TE 88/P heated fluid enclosure is replaced by a stainless steel enclosure with inlet and outlet ports. Hot air from a electrically heated blower unit is then directed into the inlet port and a chimney directs the exhaust upwards from the outlet port. 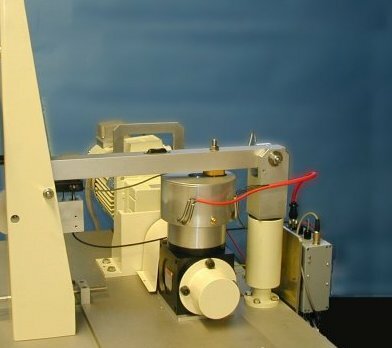 The temperature of the disc specimen is measured using an optical pyrometer. The TE 88 has PC based sequence programmable control and data acquisition. This is provided by an integrated Serial Link Interface Module and COMPEND 2000 software running on a host PC, operating under Windows. Data is stored to hard disc in standard spread sheet compatible file formats (.csv or .tsv).